That’s right, I didn’t stutter, you can now smell the lovely fumes of cow farts out of a can. The best part is that you have to pay for it. Just spring $8.00 and you can own a can of StallDuft. It is also known as Countryside Air to Go. That’s a fancy name for a stall filled with straw and cow farts. 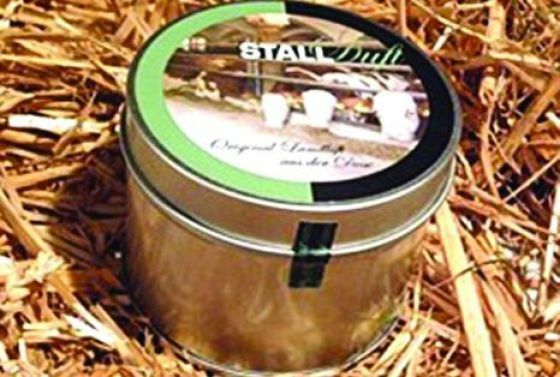 The marketing behind the odd scent is to bring back the memories of living in the country. This product produced in Germany is making a big splash, and taking in the cash. It proves that people will really buy anything. The inventor, Daniela Dorrer sold so many of her new scents that she is now working on other scents to tingle your nostrils including horse, pig, manure, and straw. Learn Something Fun: Cows fart a lot. Their four-chambered stomach is effective in breaking down cellulose; a byproduct is methane gas. 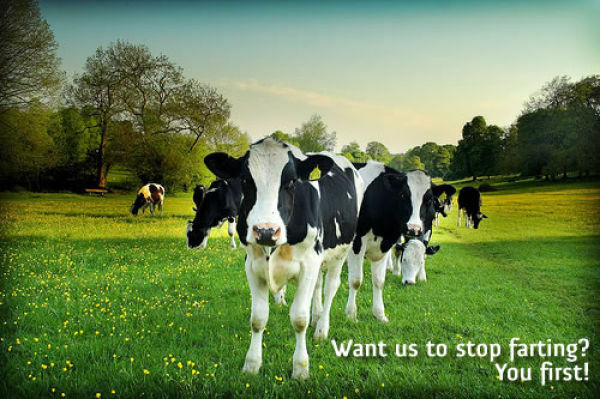 It is said that cows are one of the greatest offenders in the greenhouse gas effects more so then transportation.